The TURNEX250 has a curved lever bar with a much tighter radius than a TURNEX200. 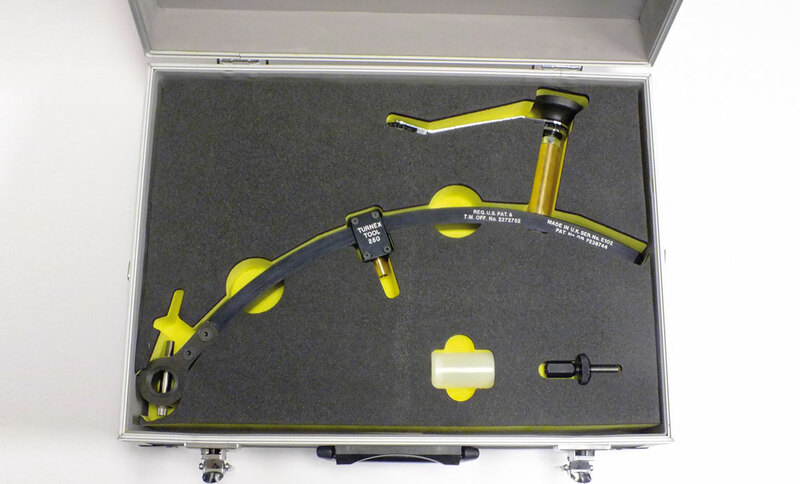 A removable detachable support strut is attached to the tool to enable its use in extremely confined spaces. Designed for the release of jammed fasteners on the CFM56-7B engine exhaust plug with the exhaust duct in situ. With the support strut detached from the tool, the Turnex250 produces excellent results when used on very tight concave or convex curvatures. Effective up to 8” screw pitch.